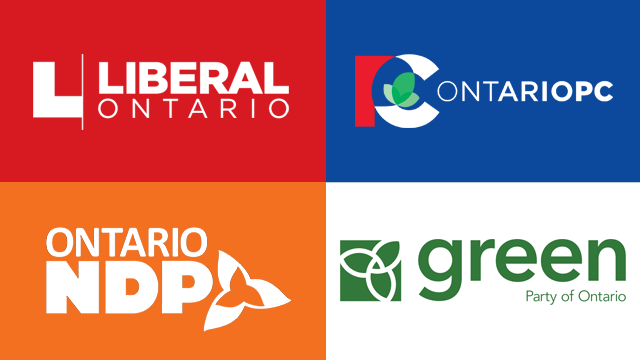 How Do Ontario Parties Measure Up on Key Election Priorities? The 2018 Ontario Election is on June 7th and official campaigning kicks off in just a few weeks! While Ontarians are thinking about how they will vote, CARP, the leading advocacy association for older Canadians, asked the New Democratic Party, the Progressive Conservative Party, the Liberal Party, and the Green Party how they will address four issues of critical importance to CARP members, if elected. Below are excerpts from each party. To view their complete responses, see links at the bottom of each issue section. CARP: What will you do to improve resident care and safety in long-term homes? Specifically, will you commit to introducing mandatory staffing levels? 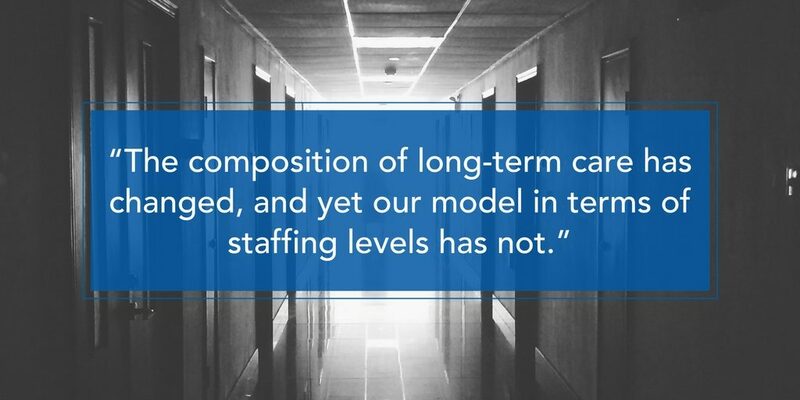 If so, what will those staffing levels be? NDP: We will launch a full public inquiry into long-term care within 100 days of being elected as Ontario’s next Premier. We will ensure that long-term care homes are funded and mandated to provide a daily minimum of four hours of hands-on care on average for each long-term care resident.. We will also make it a right of spouses not to be separated against their will in long-term care. PCs: We’ll continue regular inspections and ensure that every operator running a long-term care home is abiding by the terms of their contract, which includes –first and foremost – the safety of their residents. In addition, we’ll build more long-term care facilities. Liberals: We are investing $300 million over three years in new funding, starting with investing $50 million in 2018-19 to hire a registered nurse for every home and setting a goal of increasing the provincial average to four hours of daily care per resident by 2022. This will provide residents with more direct, one-on-one patient care. It will also ensure that every home will have staff with specialized training in behavioural supports and in palliative and end-of-life care. Green Party: We need to enforce regular inspections in long-term care facilities to ensure residents are content and safe. We support increasing the staff-to-resident ratio so that seniors receive the best care possible. We also need to ensure that staff have the proper resources and training to appropriately address the needs of residents that require complex care such as mental illness and dementia. Click here to read each party’s full reply, including how each will address long-term care wait times. CARP: What will you do to further reduce hydro costs in this province? NDP: Our plan will lower hydro costs for all ratepayers by up to 30%, and keep them down. We will restore Ontario’s proud legacy of public power, starting by bringing Hydro One back into public ownership and control. We will permanently exempt hydro from the provincial HST, and pressure the federal government to do the same. We will end mandatory time-of-use premiums… [and] get rid of unfair rural hydro delivery rates that are the highest in Canada. 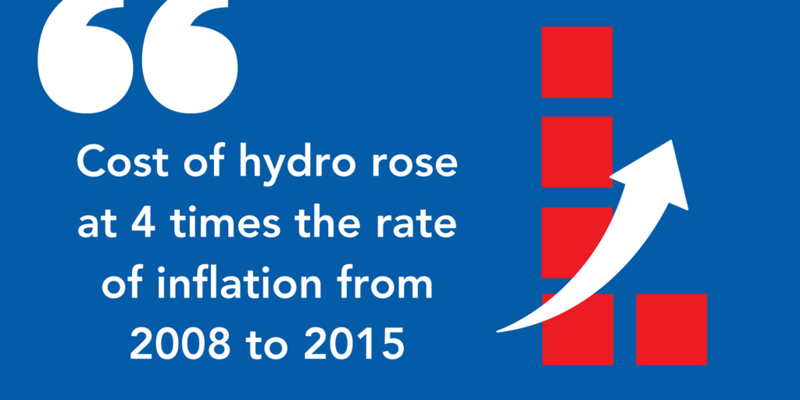 PCs: Hydro rates have tripled, with bills going up by more than $1,000 a year. We’ll take immediate action to deliver real hydro relief for families and seniors. Liberals: Through Ontario’s Fair Hydro Plan, as of July 1, 2017, we have lowered electricity bills by 25 per cent on average for residential customers. We are also committed to supporting people with low incomes and those living in eligible rural or remote communities by providing significant reductions — up to 40 or 50 per cent — on residential electricity bills. Green Party: We need to conduct an independent review of the costs, benefits and alternatives of all forms of electricity generation before we make any long-term decisions. We support an immediate moratorium on rebuilding any nuclear plants until this review is complete… We have a plan to meet our energy needs through cheaper and cleaner means, including conservation, renewables, and importing low-cost water power from Quebec. Click here to read each parties full reply, as well as each party’s full reply, including how they will address the future of hydro in Ontario. CARP: What will you do to combat seniors’ homelessness? NDP: We will step up with increased public investments in new affordable housing, based on annual targets; working with partners that include municipal, co-op and not for profit sectors. At the same time, we must save the affordable housing we already have. We will ensure these homes are saved by committing to fund at least one-third of the costs of social housing capital repairs, in partnership with the federal and municipal governments. PCs: We will make life more affordable for seniors by bringing down hydro rates and cutting taxes. We will take action to increase the supply of housing to make bring down the costs of rent and housing. Liberals: To achieve our goal of ending chronic homelessness by 2025, we have increased CHPI funding by $15 million this year, for a total investment of $308.7 million. Last March we also announced the Home For Good (HFG) program, a homelessness-focused program which will invest up to $200 million in supportive housing and services to help up to 6,000 families and individuals over three years. of rental and deeply affordable units. We support the mandate that developers include at least one new unit of affordable housing for every five new houses or condos that they build. 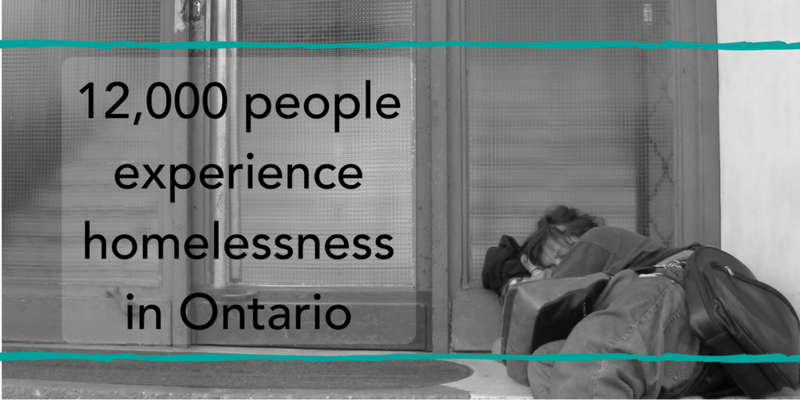 We also support a “housing first” approach to develop dedicated supportive housing for seniors in need who are homeless or at risk of homelessness. Click here to read each party’s full reply, including what they think of each other’s approach to homelessness. CARP: What will you do to better protect pension security for retirees in this province? 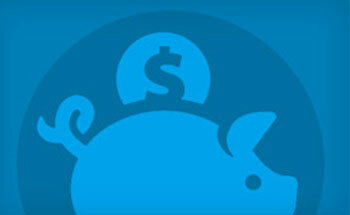 Will you commit to enhancing the PBGF beyond $1,500 monthly? If so, by how much? NDP: An NDP government is committed to enhancing the PBGF to $3000 monthly and to ensure future benefits grow with inflation. This is in line with the recommendations from the 2008 Expert Commission on Pension. PCs: We’ll make Ontario prosperous once more so that workers can rest assured that their pensions will be strong and protected. That is the way forward, to let private sector businesses flourish and take care of their own workers. Liberals: We extended the recent increase of the Pension Benefits Guarantee Fund (PBGF) guarantee [$1,500] retroactively to members of the Sears pension plan. Another measure, the introduction of a disclosable events regime, would… introduce mandatory disclosure of certain employer-related or plan-related events. 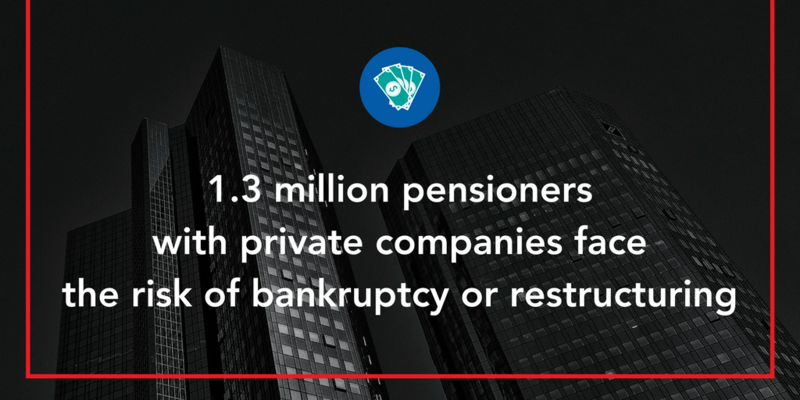 This will alert the pension regulator to potential issues, such as significant asset stripping or the issuance of extraordinary dividends when a plan is significantly underfunded. Green Party: We believe that the Pension Benefits Guarantee Fund should be expanded, funded by premiums. With the relaxation of solvency rules for pension funds, it is even more important that a guarantee fund is extended so that retirees counting on their pension incomes are not left out in the cold. Click here to find out who said what, as well as each party’s full reply, including more details on how they would strengthen pension protection in Ontario.